We are excited to now be EVERYWHERE! You can get the DVD or download the film from our retail partners. Amazon, Google Play, iTunes, LifeWay, Parable, ChristianBook, and Walmart. 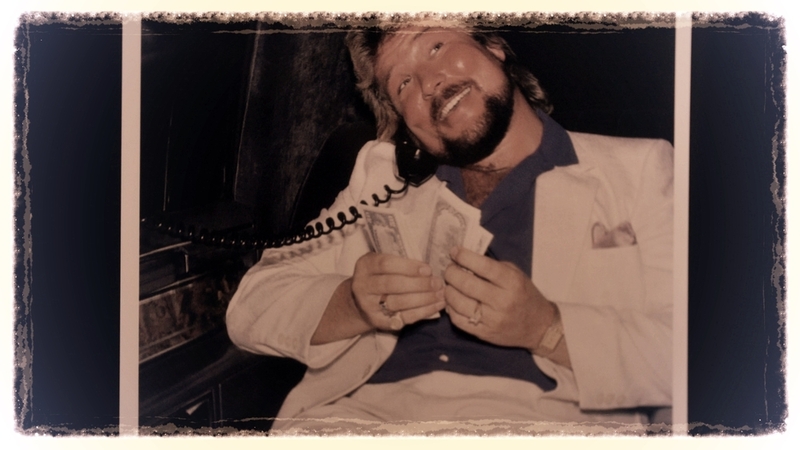 The Price of Fame is the story of professional wrestling legend ‘The Million Dollar Man’ Ted DiBiase.In the 1980’s sports entertainment was becoming what the world was watching on Saturday mornings and on some Saturday nights. At the forefront of this was a character that knew that ‘Everybody Has a Price’. DiBiase along with his bodyguard Virgil took over the wrestling world. At the height of this character's wrestling fame he had held multiple championships, including one that he bought! 'The Million Dollar Man' in a limo living the high life. Ted DiBiase Sr & Ted DiBiase Jr visit Iron Mike DiBiase's cemetery. WWE Hall Of Fame Wrestler 'Rowdy' Roddy Piper gets emotional discussing his friend. WWE Hall of Famer Jake Roberts discusses 'The Price of Fame'. Shawn Michaels and Ted DiBiase Jr talk about forgiveness, and redemption. Legendary wrestler Lex Luger discusses Ted's influence. WWE Hall of Fame Wrestler Terry Funk discusses his long history with Ted DiBiase. In Atlantic City, NJ the site of Wrestlemania IV. Harley Race discusses the night Iron Mike DiBiase passed away. Peter Ferriero is the owner of a successful northeast production company PF Films. He has filmed several television pilots most notably ‘The Uncle Gerry Show.’ It is now represented by Surge Licensing and won ‘Best TV Pilot’ at the LA Comedy Fest. In addition, he has produced, directed, and acts in a wide variety of projects. Ferriero was inspired to create the film following a divine meeting and conversation with Ted DiBiase. For many years it was a labor of love. The Price of Fame is Ferriero's first full-length documentary film. Ted DiBiase Jr is the son of WWE Hall Of Fame ‘The Million Dollar Man’ Ted DiBiase. His film work includes the largely popular ‘Marine 2’ by WWE Studios. He has held countless pro wrestling championships as well as being a member of an extremely popular stable, ‘Legacy’. DiBiase Jr. recently parted with the WWE to pursuit several business opportunities. In addition, he is devoting time to his family, and son Tate DiBiase. He is extremely proud and excited to be working on this film about his family.